This post today is going to be all about empties, this year i’ve been trying harder to use up my products (especially face products) before going out and buying new ones. These are the products that I have used in May this year, below the pictures I will include quick reviews on them which will also let you know whether they will be something that i’d repurchase. This body scub is gorgeous! It comes in a 300g pot which does last me quite a few months, it smells like PEACHES and has such a lovely texture which really exfoliates well. I use this all over my body including on my legs post shaving. Will Rebuy! 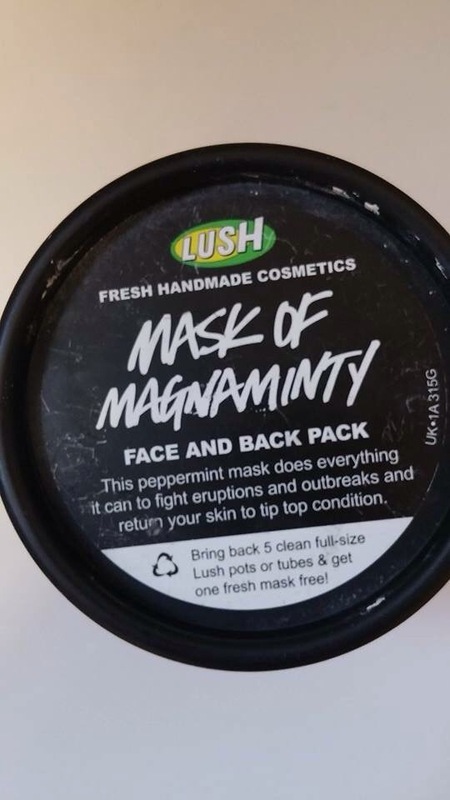 This is one of my favorite face masks from Lush, it smells great and sure does wonders on your break-outs. I usually get the Angels on Bare skin but decided to give this one a go this time as my skin has been having quite a few break-outs recently. 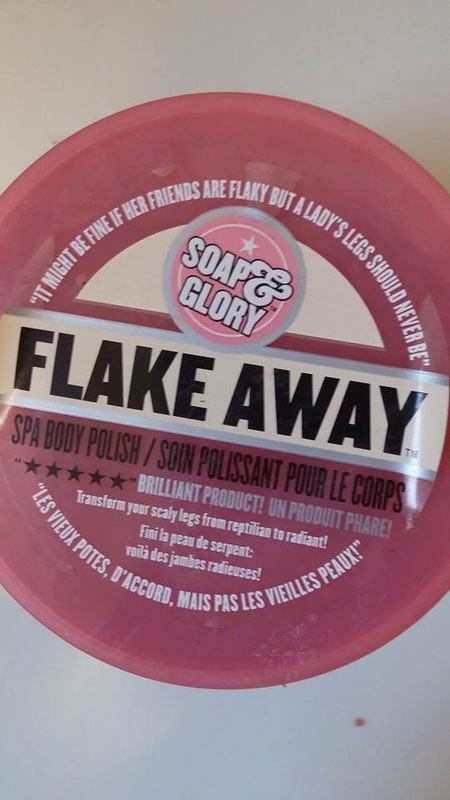 I love the minty scent but I feel it’s quite harsh on the skin if you have sensitive skin, however if you’re like me and are oily-combo, this would be perfect for you. Will Rebuy! This was mentioned in my favorites of the month, this has been my go to makeup remover for the past 2 months and it has lasted a suprisingly long time concidering I use it morning and night every day. 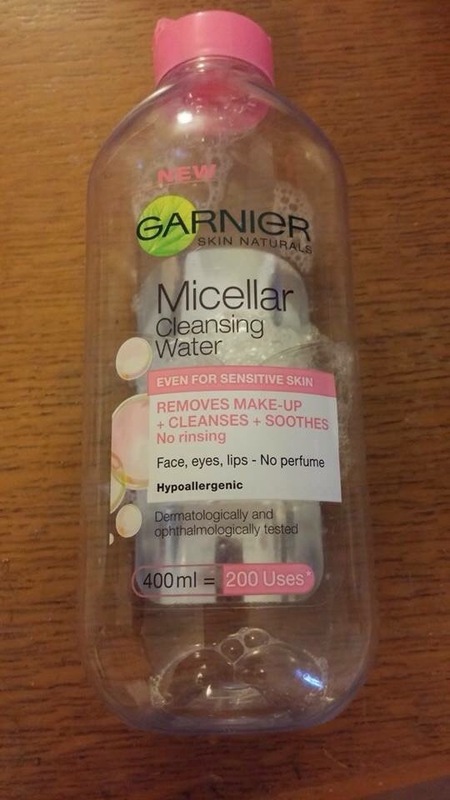 I can use it on my eyes without getting any irritation which I usually get with other brands such as Simple and I love that it doesn’t have any fragrance as it makes me feel clean. I am currently trying out the combination skin version of this opposed to the sensitive skin one as it has a mattifying effect to it and so far I am not very impressed with it as it is stinging my eyes! Will be Repurchasing this in a couple of days if the new one doesn’t pick up its game! This has been my go-to liner for the past 2-3 months, I’ve really enjoyed using this however the black isn’t very black. The applicator is great and really easy to use which is great for me as I have (as we all) days where my liner game isn’t on point. 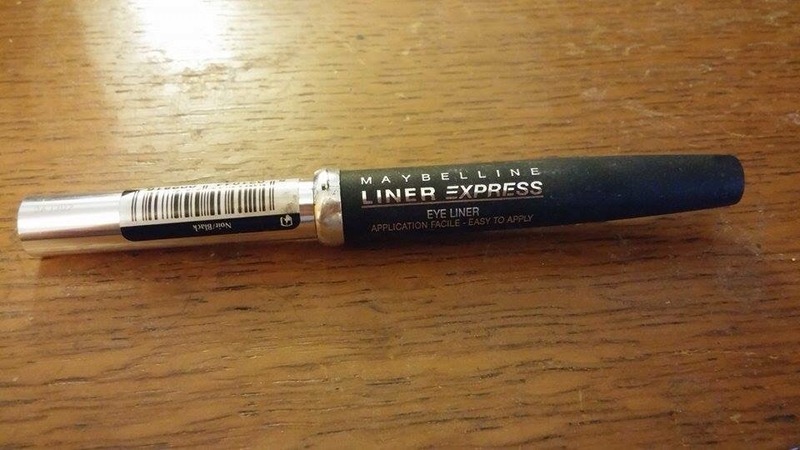 I will not be repurchasing this as there are plenty of options out there regarding eyeliners and I am on the hunt for one which is very black with a matte finish. 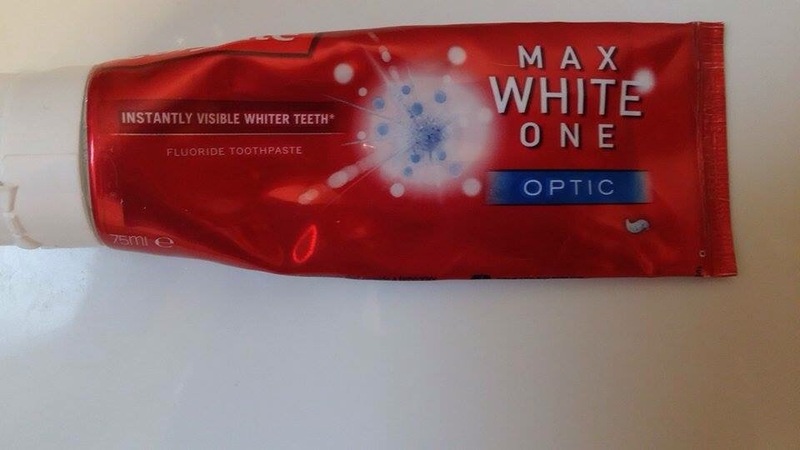 I am a sucker for buying new toothpaste when they come out and buying a new one before I use the rest of the old one. This month I’ve really been loving this toothpaste and I have really noticed a difference with my whiteness of my teeth. I have been using the mouthwash as well as the toothpaste which are mint flavoured which is a big plus as I hate non mint toothpaste. I’m 100% going to rebuy this when I next go to tesco! 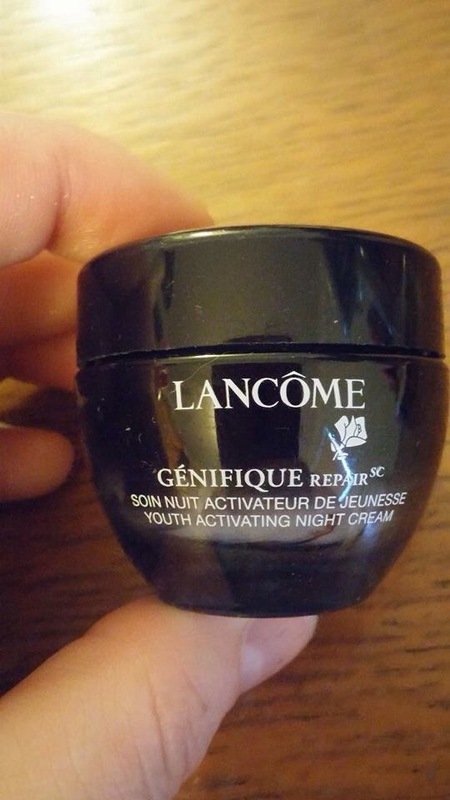 This is a sample my mum gave me after buying items from the Lancome counter in boots, she gave me about 4 of these pots and wthis is my last one. I LOVE this night cream! I wasn’t using it for the youthfulness (is that even a real word) because I have a total baby face but as a night cream it was lovely. It had just the right amount of moisture and it didn’t feel greasy on my skin. The only downside is that the real thing is SO expensive, I would love to be able to repurchase this but it is totally out of my price range therefore I will not be repurchasing this. I know there wasn’t many makeup products in this months empties but I hope you found my reviews helpful and maybe even go out and get some of these items! ‹ PreviousMakeup of the Day – Work Style!